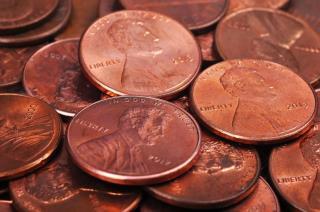 (Newser) – Passive-aggression has its day: A central Pennsylvania borough has changed a policy that barred a disgruntled handyman from protesting a $25 parking fine by paying with pennies. Chambersburg officials earlier told Justin Greene of Shippensburg that his payment of 2,500 pennies wasn't allowed under a federal rule designating the copper coins as small change—not tender for debts greater than 25 cents. But borough officials said in a statement Wednesday afternoon following "public uproar" over the matter that officials had used an outdated federal rule in refusing the payment. What's this? Passive-aggressive opinions can change things? Fear not.......... they're still called the Washington Redskins; new taxpayer funded stadium or not ! ! ! It is legal tender. If we can't use it for official purposes, then stop making it.